Since winning first prize at the 2000 International Chopin Competition at age 18, Chinese pianist Yundi has scarcely stopped to catch his breath. Countless international tours and 16 recordings later Yundi’s energy is as impressive as ever. 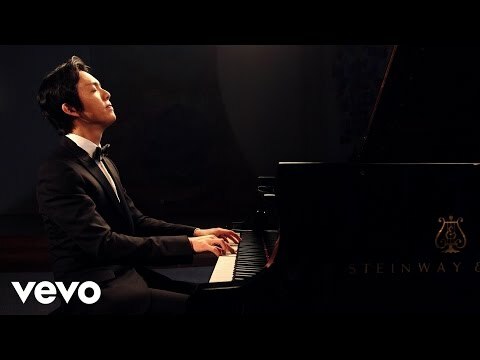 His latest disc is Yundi Chopin Preludes (Mercury Classics/Deutsche Grammophon 4811910) which presents all of the Op.28 Preludes plus the Op.45 in C-sharp Minor and a posthumous work as well. Li has dedicated himself to the works of Chopin, and proved himself a stunningly talented pianist with his masterly techniques and wondrous colorings of many Chopin recitals. One thing that has not changed is the almost effortless grace and elegance that Yundi brings to the keyboard. Li seems to be able to get whatever he wants from a piano — whether the most silken of soft passages or vast, thundering Niagaras of octaves ... this was thrilling pianism on every level. Li is something of a classical pop star in his home country, with screaming fans regularly attending his concerts.